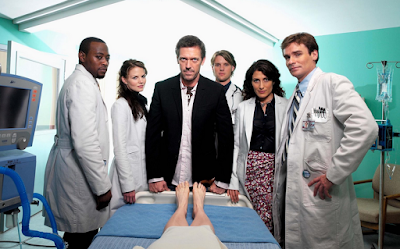 Back in those days, when I was a young, innocent houseman, WARD ROUNDS were a big thing. It was the most important part of the day for a budak hingusan houseman like me. Because this is the part of the day you will learn the most. 1. ALL passed over ward work should be completed. 2. ALL patients should have been reviewed. 3. ALL housemen should be ready in the ward to follow rounds. Unless they're attending to a life threatening case. Why are wards rounds important? 1. Most decision making with regards to patient management are made during ward rounds. It is important for every team member to know and understand what needs to be done for the patients. 2. A lot of discussions between medical officers, specialists and consultants are made during ward rounds. This allows junior doctors such as housemen to get insight into the thought processes of senior doctors. 3. HOs will be targeted during ward rounds...NOT in a bad way. But in a progressive way. This is when most home works are given. Not useless home works. But home works for HOs to go back and study in detail. The end result is a more knowledgeable doctor in that particular specialty. Having said all this, it was kind of surprising to have read this Twitter thread about the use of a language other than the most commonly used language in Malaysia i.e. English and Bahasa. Fortunately, I did not encounter this sort of problem when I was working at any of the hospitals I worked at. There were isolated instances when this did happen and my fellow colleagues (whom can speak the same language) pointed it out (tegur) and the speacialist/MO would revert back to mainly speaking in English. Let's look beyond the issue of racism and consider this literature review on Teamwork and Communication in Healthcare. 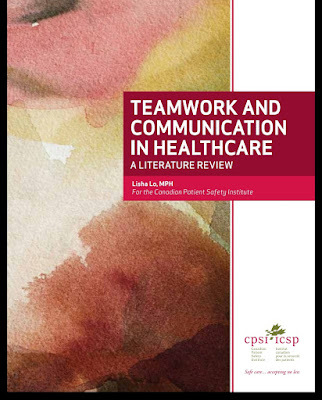 A friend of mine shared this literature review and pointed to use of common language in teamwork dynamics. 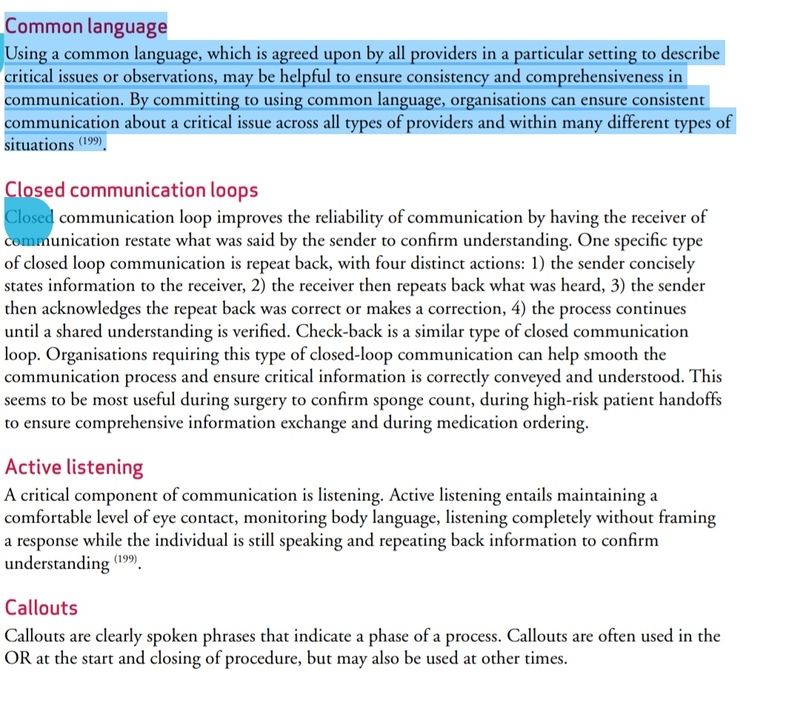 "Using a common language, which is agreed upon by all providers in a particular setting to describe critical issues or observations, may be helpful to ensure consistency and comprehensiveness in communication." 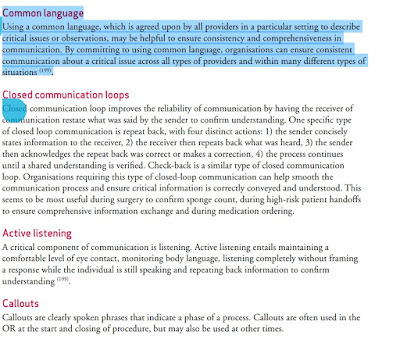 "By committing to using common language, organisations can ensure consistent communications about a critical issue across all types of providers and within many different types of situations." Thus, for whatever reason a fellow team member decides to speak in a language not understood by ALL team members, do consider that it may interfere with the total management of patients. Here, I'm focusing on the language used to discuss a particular issue among healthcare staff. If you have to use a specific language to gain history and rapport from a patient, that is a DIFFERENT story. But do be considerate enough to share the finding with the other team members. Remember, it's not about which language is superior or better but which language can benefit the patients best and also the team dynamics. Be inclusive, NOT exclusive.